Israeli naval forces opened fire at Palestinian fishing boats off the coast of Rafah City, in the southern besieged Gaza Strip, on Friday. Witnesses told a Ma’an reporter that Israeli war boats opened fire targeting Palestinian fishermen off the coast of western Rafah City, forcing the fishermen to head back to shore, in fear for their lives. 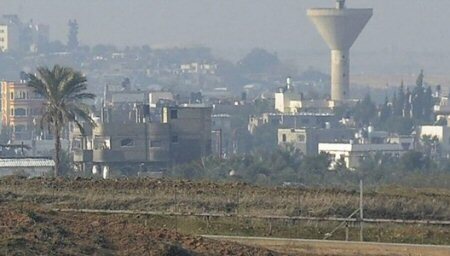 Meanwhile, Israeli soldiers deployed in military watchtowers in the al-Fukhari area of Khan Younis, in the southern Gaza Strip, and opened fire towards Palestinian farmers in nearby agricultural lands. The Israeli army regularly detains and opens fire on unarmed Palestinian fishermen, shepherds, and farmers along the border areas, if they approach the buffer zone, as authorities have not made clear the precise area of the designated zone.